Hello - I just saw your request for information on Bigfoot encounters near military facilities. In 2011 I was working at the Lewis–McChord military base located south of Tacoma, WA. I was employed at public works and assigned to the environmental department. I was part of a group conducting a study in the southern section of the base. There were several soldiers attached to the group for security. We had been out in the field all day and were getting ready to head back to the lab. About 5:30 PM we heard a distress call on the radio from one of the security attachments located north of our location, then we heard gunshots coming from the same direction. The best I can describe the situation is that all hell broke loose. The civilians were hustled out of the area immediately. When we arrived at the lab, we were told by command that our department would be non-active until further notice. The next day I received a phone call at home from a lady I worked with. She was wondering if I had heard anything. I told her that no one contacted me, but I was having dinner later with friends who worked on the base. She seemed very concerned because no one was answering calls at the base. That evening I got together with friends who worked in other public works departments at the base. At that time, there was no official information available, but there were a lot of rumors floating around. The most prevalent rumor was that one of the security detail went off his rocker and started shooting at other personnel. We were all called back to work about a week later. We each were given a written statement that, despite the rumors, the incident was a false alarm and that no one had discharged their firearm. We all rolled our eyes. Each of us had heard the gunshots and realized that the situation was more serious than what the military was stating. They explained that they were never told what the 'something' was but there had been unconfirmed sightings of Sasquatch and other unknown man-like creatures in and around the base. This information didn't really surprise me since I grew up in Portland, Oregon and was well aware of the legend. That is about all I can tell you. I no longer work at Lewis–McChord but still have several friends who do. 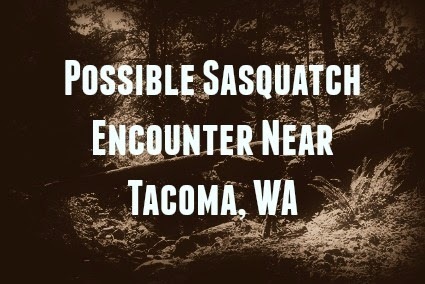 I will say that I am more mindful of the cryptid world, especially here in the Pacific Northwest. I believe that the government and military are very familiar with these creatures. The sudden security boost during the incident and then the fact that the biological and medical departments on the base were put on hiatus leads me to believe that the military was in possession of one these creatures. I have no confirmation of this, but my gut feeling indicates that this is what happened. Richard N.